LOCATION ! 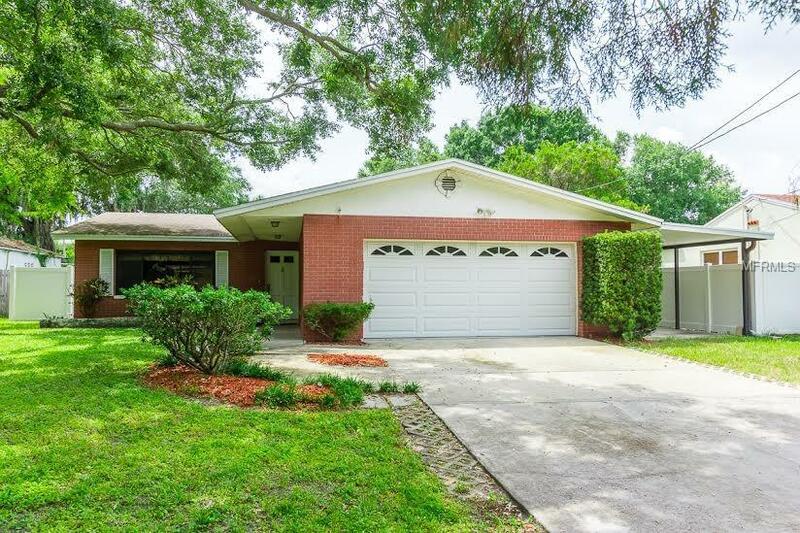 Come and check out this rare 3BD/2BA/2CAR GARAGE/1 Carport, South Tampa POOL home! The curb appeal alone will draw you into this beautiful brick home. Imagine taking a quick walk to Bayshore Blvd and strolling by the water each day... this is Florida living at it's finest! The home features over 1500 square feet and original Terrazzo floors throughout the main living areas. An inviting Living room with an open floor plan to a bonus room and a dining room for the ideal entertaining situation. Outback enjoy a covered Florida room that leads into the backyard pool oasis with a shed ideal for storage. Offering a newer HVAC and located in Roosevelt, Coleman and Plant school districts this one marks off all of the items on the checklist. Close to shopping, dining, entertainment and the business district. Don't miss this opportunity. You will not find another like it, so schedule your showing today before it is too late!